Did you know that Rhode Island is the smallest state in the United States based on size? It’s only 48 miles North to South and 37 miles East to West. Despite it’s small size, it doesn’t go unnoticed. In fact, Italian-born bartender, Vincenzo Marianella, created and named a beverage after the state in 2005. We bring you the Rhode Island Red Cocktail in Rhode Island. Vincenzo Marianella founded this tasty cocktail while working at the Providence in LA, hence the connection to Rhode Island. This beverage is not to be confused with the American breed of domestic chicken, also known as the Rhode Island Red. Vincenzo is currently Head Barman at Copa d’Oro in Santa Monica. The fresh ingredients in this classy cocktail make for smooth sipping. Enjoy! 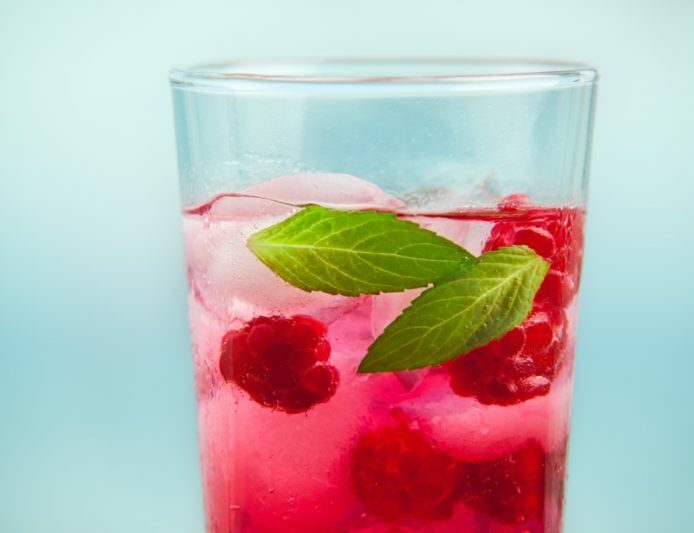 Muddle the raspberries in a cocktail shaker, then add all the ingredients except the ginger beer. Shake well and pour into a Collins glass. Fill the remainder of the glass with ginger beer and garnish with mint.